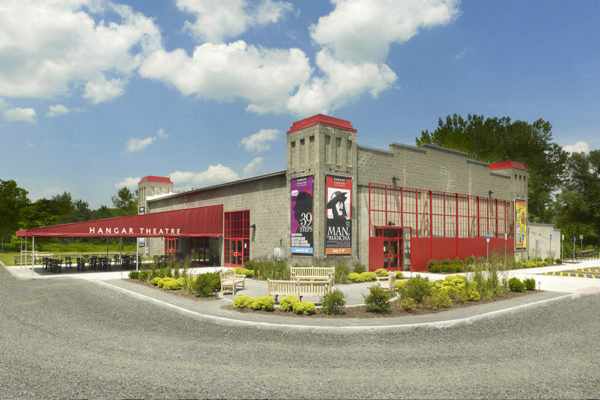 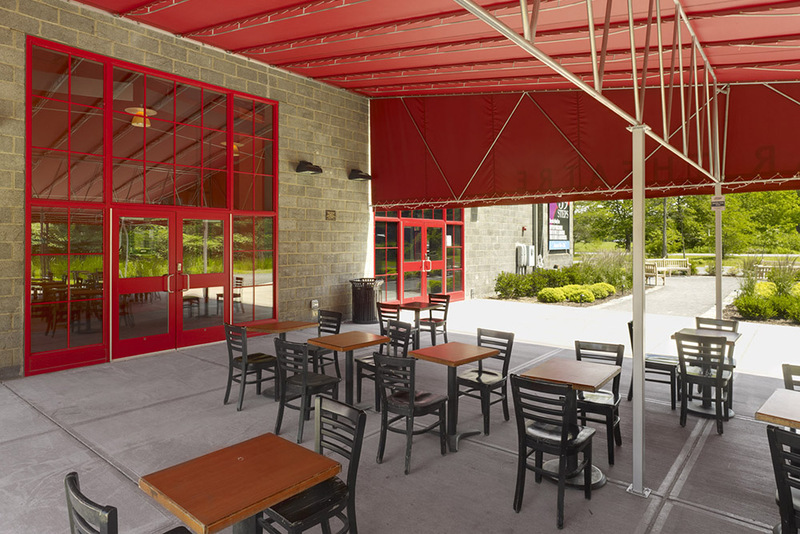 The Hangar Theatre’s 11,000sf transformative renovation brought new life, functionality and year-round capabilities to Ithaca’s beloved performance venue. Newly glazed large openings allow and abundance of natural light to stream into the lobby; “Hangar Theatre Red” is used throughout and highlighted with sparkling dramatic lights and horizontal steel forms to create a sense of movement and excitement; old hangar doors form a decorative screen that hangs to the south and marks the main entrance; dramatic exterior lighting and a new outdoor patio create a beacon at night – underscored by the new orientation to the main road. The project also replaces all the theatre seats, rebuilds the theatre stage, and reorganizes the lobby, entrances, concessions, the ticket office, back of house dressing rooms, green room, and supporting spaces including diva room, actors’ bathrooms, offices, laundry, scene shops, and costume shop.